Time flies when you're 'feting'. This April will be 4 years since Calgary Socastarted bringing Soca music and events to the masses. It so happens that Calgary's Trini Vibe TV turns 1 in April as well! It didn't take much more than that for us to decide we needed a party to celebrate! 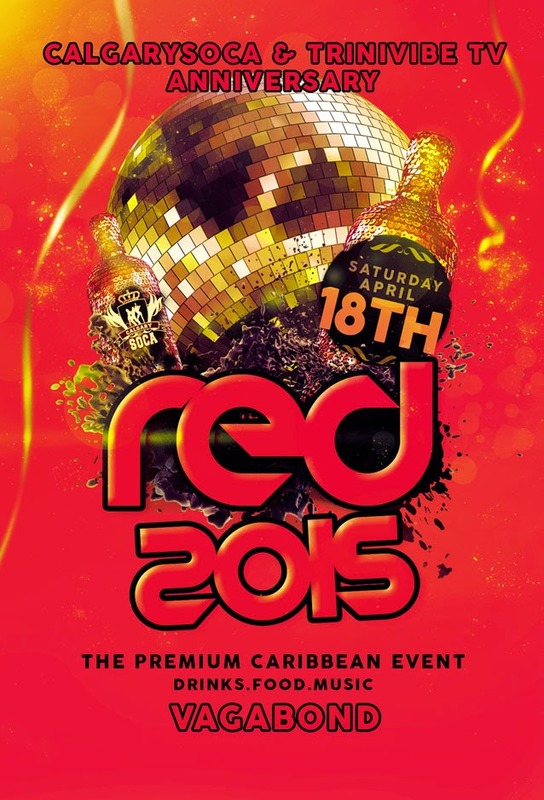 Its our FIRST ever PREMIUM CARIBBEAN PARTY and its ALL ABOUT RED! Food....INCLUDED! Music....only the best! And Thanks to APPLETON for the providing the Rum!